Bespectacled Mayhem | Untangling myself. 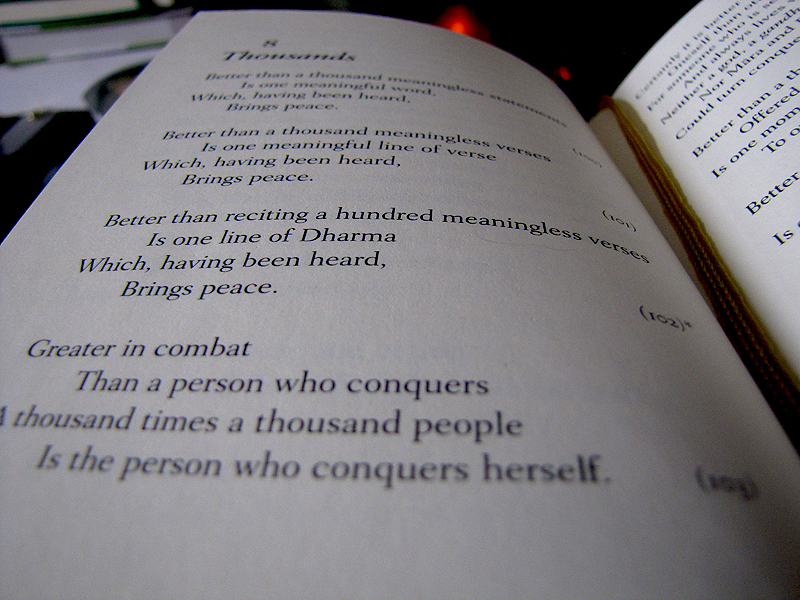 The person who conquers herself. 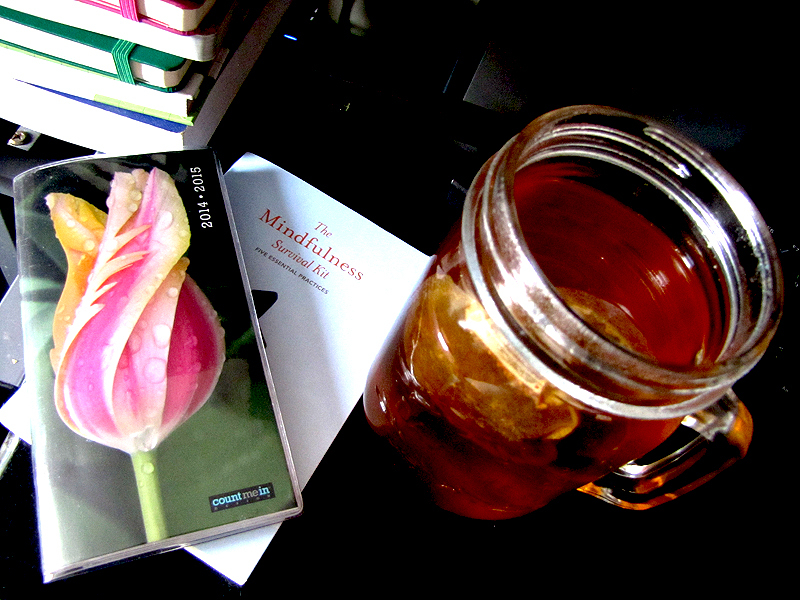 Tea and books have a very good habit of getting me through bad days. So do deep breaths and chocolate. Being awake at two a.m. is not something I make a habit of, but sometimes – when life is overwhelming and insomnia sets in – I find myself laying awake in bed pondering the meaning of life, or wondering about human existence. During those times all I can do is wait for the thoughts to run out and for my mind to shut off. Chances are sunlight will start leaking through my curtains before that happens and I’ll start thinking about how much caffeine I’ll need to make it through the day. Looking like a raccoon’s cousin should be a new type of fashion statement, at least on the days when I feel that I look like one. My brain-to-mouth filter is pretty decent on a good day, especially in my line of work, but when I suffer from sleep deprivation it tends to verge on non-existent and the edge of hysteria will break through. Like a miniature tidal wave. My co-workers are very good at feeding me Starbucks during those days and covering for my verbal diarrhea. They are wonderful and I’m pretty sure that I amuse them immensely. I figure if I can make people laugh while I’m feeling loopy, then that’s a small point towards a slightly better world. The insomnia only ever lasts a few days, but it can be brutal. No amount of warm milk, calming tea, or sleep aids can help me. Well, nothing short of a brick to my head anyway, and even that’s a bit questionable. A coworker was arguing at me a few days ago about The Avengers being better than Cloud Atlas. (Please note that he has not seen Cloud Atlas, but just likes forcing his opinion on others. I am a neutral person so I’m usually the target of his arguments.) I loved both movies but, as I told him, I found it impossible to compare the greatness of both movies because they are very different from each other. They each affected me in completely different ways. The Avengers movie thrilled and excited me in a way that only a long-time continuity could; Cloud Atlas moved and inspired me in such a way that I had no idea what my feelings were doing. I went to see Cloud Atlas opening night and then went again the next night. I can say with complete honesty that it blew my mind. I was simultaneously impassioned, motivated and inspired. There was also some despair and lighthearted happiness thrown in there somewhere. By the end of the film I had no clue what emotion I was actually feeling; they were all over the map and my brain decided that the best self defense against the onslaught of feelings was for me to sob uncontrollably. This was the first time I had ever been so emotionally invested in a movie. 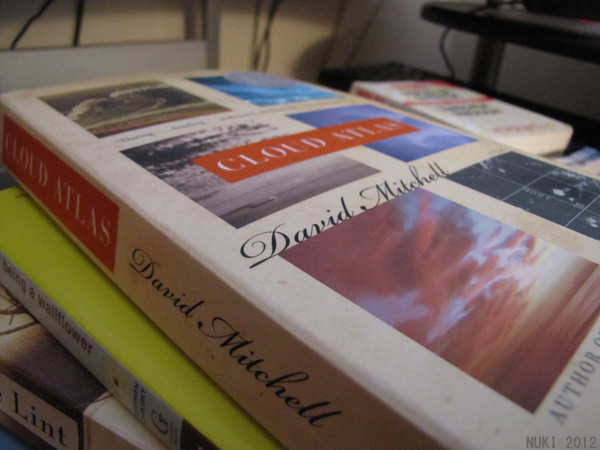 Cloud Atlas is essentially six separate stories being told to you at once. In the beginning you have little idea as to how they’re related and then mid-way through the movie everything starts to interconnect beautifully; everything suddenly makes sense. Revelations are made and connections are discovered and you’re left reeling from the force of it. I’m limiting what I tell you because I’m hoping that everyone will go see it in theaters and I don’t want to spoil anyone who hasn’t seen it yet… or read it. Currently on top of my ‘to read’ pile. 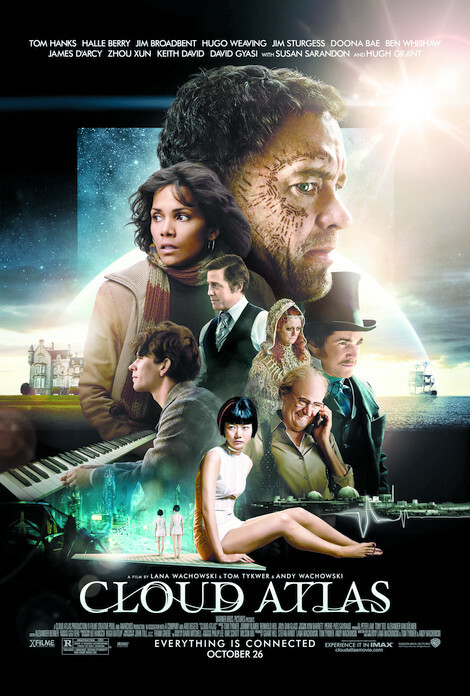 I discovered right before going to see Cloud Atlas in theaters that it was based on a book. Usually I’m a bit more aware of these things and I’m a firm believer of books being better than their movies. Since the movie effected me so much, I can only imagine what the book will do to me and I’ll be sure to keep you all posted. Needless to say I’ve bought the book and I’m hesitating to read it this close to the start of NaNoWriMo, but I don’t think I’ll be able to hold off much longer. I’m craving to see the movie a third time and the book is sitting conveniently beside me. I’ve never been good at resisting temptation. I don’t know about the rest of the world, but Autumn has definitely arrived in Canada, and something about this time of year always seems to bring out the tea lover in me. I love tea year round but there’s something about the oncoming cold weather, the smell of wood smoke in the air, and the morning chill that makes me enjoy the warmth of a cup of tea a lot more than I normally would. I am truly passionate about few things and tea is one of those things. My mother would call this obsessive compulsive tea drinking, although she shouldn’t talk since she has her own ‘Tim Horton’s coffee drinking issues’. 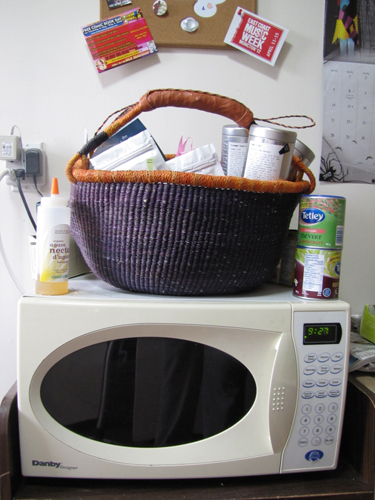 This is my brilliant, handmade Tea Basket. The basket was a gift from my best friend in support of my tea addiction obsession habit and it is somehow big enough to hold all of my loose tea. Lets take a look inside. None of you are allowed to judge my tea obsession, because tea is my comfort drink. This is also unashamed Davids Tea promotion. 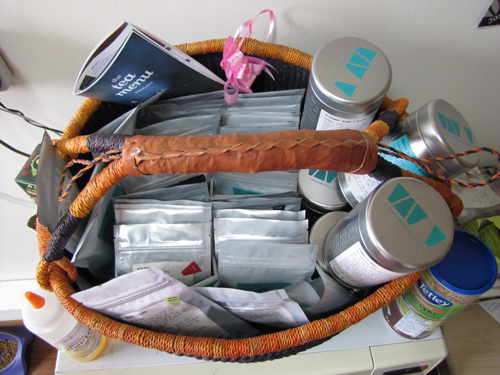 Look at all the glorious loose tea, and before you ask – yes I drink ALL of them on a semi-regular basis. For the record: I drink, on average, five to seven cups of tea a day and some of those envelopes don’t have more than a few teaspoons worth of tea left in them, because sometimes a tea gets discontinued before I can stock up on it, so I save what’s left for special occasions or really bad days. 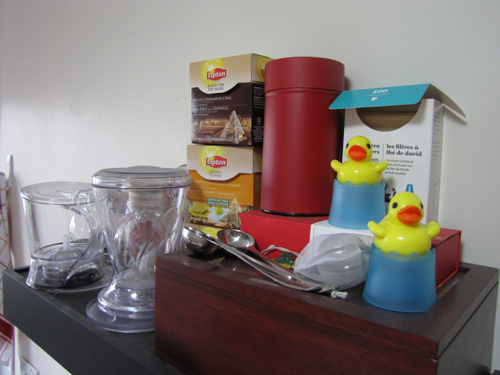 This is my Tea Shelf and YES those ARE rubber ducky tea infusers that make me irrationally happy every time I use them. Also – the wooden box is FULL of prepackaged tea and those boxes of Lipton tea are the only ones I could actually fit on the shelf. Some people think I have a problem. I think I am keen on keeping myself sane and happy through sheer force of will and lots of tea. Here are some of my absolute favorite teas to drink during Autumn. Pumpkin Chai is my ALL TIME FAVORITE Autumn tea and makes me feel like a fuzzy ball of warmth. How can you resist the delicious pumpkin taste and tiny adorable pumpkin sprinkles? This tea is seasonal and I have a feeling that if David’s Tea DID discontinue it, there would be a rebellion. Mulberry Magic comes as a close second. There’s something about the macadamia nuts and the overall sweet taste of the mulberry leaves that I really like. Buttered Rum also makes the list because of the coconut and the fact that if I’m having a super bad day I can have the good taste of rum without somehow becoming a raging alcoholic. Everyone should try each of those tea’s at least once. I understand that there are a lot of people who are NOT tea drinkers, but I like to think that’s because they haven’t found the right tea yet. (If someone offers you a cup of King Cole tea – you should RUN AWAY.) Tea makes me happy and I want to share my happiness with everyone. I really should be a Tea Dealer; not to be confused with a drug dealer. Drugs are bad. This is a post mostly about nothing. 01) The fact that it’s NOT Sunday and Entertainment Weekly gave us THIS picture of Captain Hook (Why is he so good looking? I CAN’T EVEN FUNCTION… is that eyeliner?) and then, when I actually read the article, found out his episode doesn’t air until the 21st of October. (That is WEEKS AWAY! Once Upon A Time why must you do this to me?) My attraction to bad boys clearly didn’t disappear like I thought it would once I entered my late-twenties. 02) I put my giraffe kettle on the stove and didn’t realize until about forty minutes later that I forgot to turn the burner on; I ended up in a sobbing-hysterical mess on my kitchen floor with my cats, while waiting for the water to boil, AGAIN, because I REALLY just wanted my cup of tea. 03) Re-watching the mid-season finale of Doctor Who, like an IDIOT, thinking that since I’ve already seen it, it won’t be so bad the third time around. NOPE. I end up a sobbing mess, again, just as my aunt calls and since I’m apparently unable to communicate like a normal person – I spent ten minutes sobbing at her. Bless her heart though; she took it like a pro. My family knows I’m capable of being a complete mess sometimes. 04) The latest episode of Elementary is taking too long to GET ON MY COMPUTER. 05) The Bloggess is still following me on Twitter and I have no idea why, but it’s brilliant and gives me furiously happy smiles on a daily basis. 06) Watching Jurassic Park and realizing that I cannot deal with velociraptors. The tyrannosaurus rex? – no problem. But when the kids were in the kitchen with the raptors, and she’s trying to close the metallic door thing and the raptor charges at her – I screamed. Loudly enough that my upstairs neighbor called to make sure I wasn’t being murdered. Clearly I need a special jacket… and a bottle of Xanax. November is National Novel Writing Month, and if you don’t know what that is, please click on the above image because The Office of Letters and Light will do a better job of explaining it to you than me. During the month of November I do my best to write 50,000 words in thirty days. If you’ve ever wanted to try your hand at novel-writing November is the perfect month to start because you’ll have 300,000 other people there to motivate you and encourage you and help you leap over plot holes. I could tell you that it’s easy and that 50,000 words is not a lot, but that would be a giant fib and I’m not going to lie to you. I will tell you that winning feels AMAZING and you get a sense of accomplishment even if you know that your novel is going to require some serious editing later. There will be late nights and early mornings and getting eight hours of sleep at least one night a week will seem like an impossibility. Caffeine will become the newest love of your life for the duration of the month and you will get enormous dark circles under your eyes but after a while you’ll stop caring about your appearance because it takes away from your writing time. You will make new friends and have an intelligent support network (via the NaNo forums) at your beck and call at any time you need them, because you can’t afford to get lost on Wikipedia. You’re probably thinking something along the lines of: I can’t write a novel in a month! I have no idea what to write about and I don’t have a plot. BUT YOU CAN and it will be brilliant. I had a general idea that I wanted to do something with Fairy Tales and Dinosaurs for this years NaNo and it took me maybe thirty minutes to think up a plot to combine those two radically different things. Your mind can and will surprise you with the sheer amount of imagination, creativity and ideas that it can produce. Even if you don’t reach 50,000 words by November 30th you’ll STILL be a winner because you’ll have given it your best shot and you will probably write more than you ever have before. Yes, you will be rocking some serious sleep deprivation and be more over-caffeinated than you’ve ever been in your life, but it’s WORTH it. Your family will think you’re strange and some of your co-workers will avoid you when you’re writing in the break room, BUT IT’S WORTH IT. I promise. If you’ve ever wanted to write a novel I highly encourage you to give National Novel Writing Month a chance, and if you haven’t, well, I can tell you that you’ll be missing out on a grand amount of fun. Warning: there is much friendship sap ahead. You know when you’re a kid and you make that ONE great friend who likes all the same things you do and then you end up keeping them for the rest of your life despite them moving across the country and not seeing them face to face very often? Yeah, well I wrote a sappy poem-song about mine. Clearly I’m just trying to embarrass myself, but it’s absolutely worth it. Also – I am not a poet so this is most likely rubbish. This is an accurate depiction of how our friendship started and still is. If anyone can pick out which books are referenced in the poem-song I’ll give them virtual brownies! ( I promise it’s probably not that hard to figure out – brownies for EVERYONE). Stuck inside, but I don’t mind. Who knew time could fly so fast? PS — It’s Banned Book Week and this is an awesome thing! Everyone should read a banned book at least once in their lives and this is the perfect time to do it! 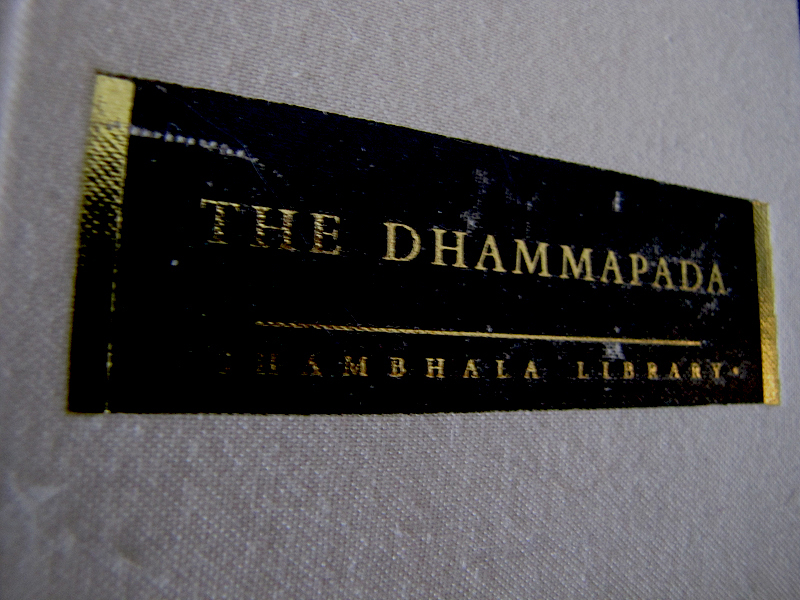 Go out there and fight censorship, WITH READING! How amazing is that?! PPS — Did anyone else meet their best friend in a library? Or was it just us? We’re a bit weird so if it WAS just us then it wouldn’t surprise me. PPPS — Happy October! Halloween is on the way and Autumn is here and that means that I can drink all the pumpkin spice latte’s that I want without getting strange looks!